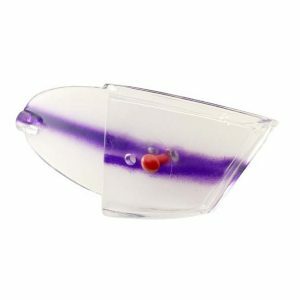 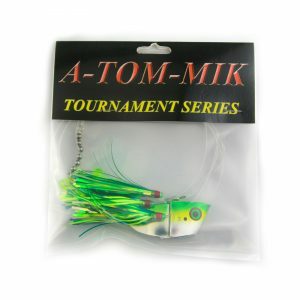 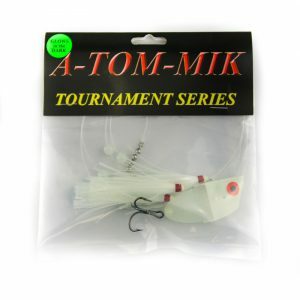 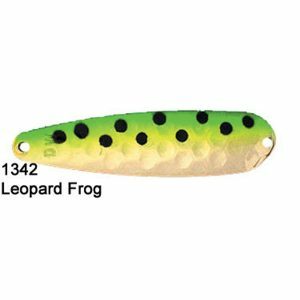 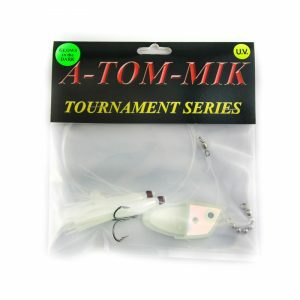 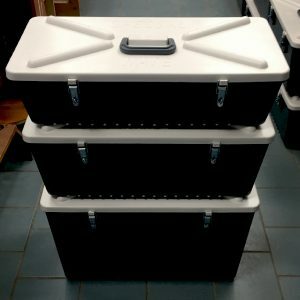 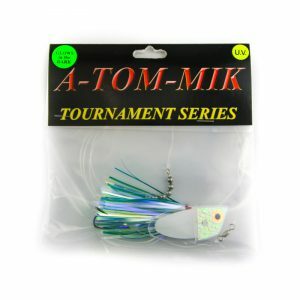 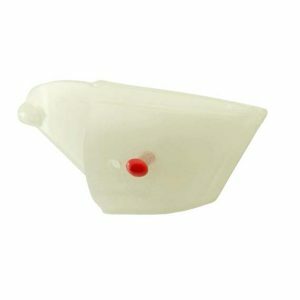 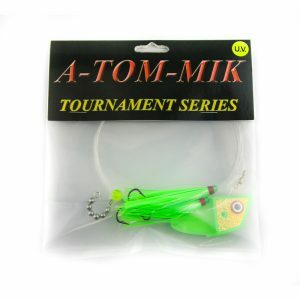 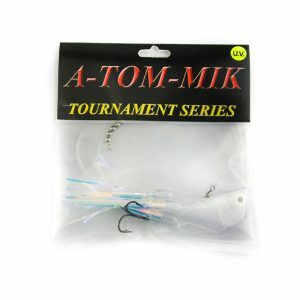 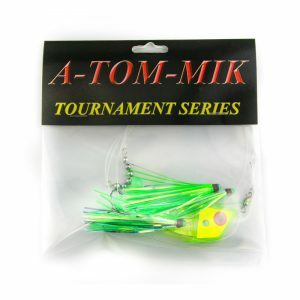 The A-TOM-MIK Meat Rig is perfect for cut bait fishing. 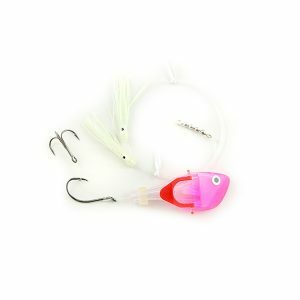 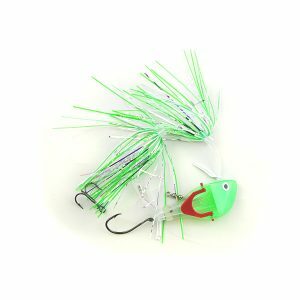 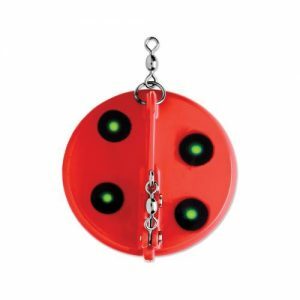 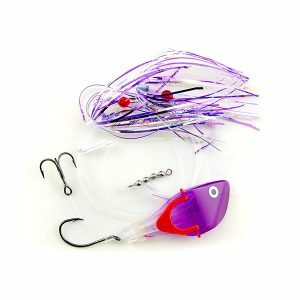 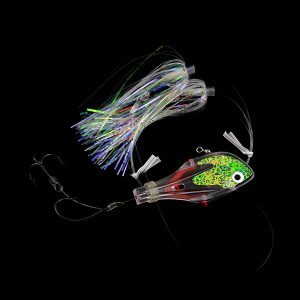 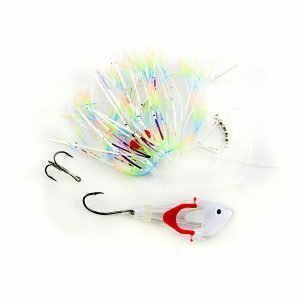 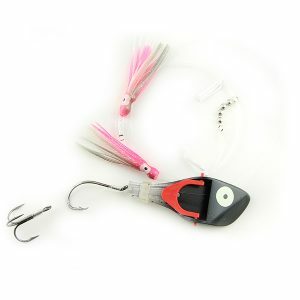 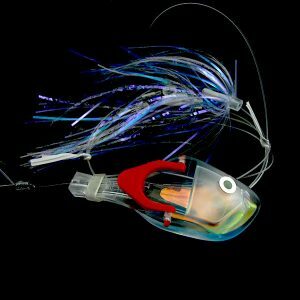 This rig features a leader with a swivel below the third fly for easy leader replacement. 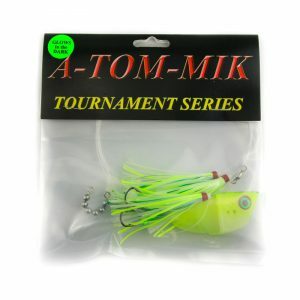 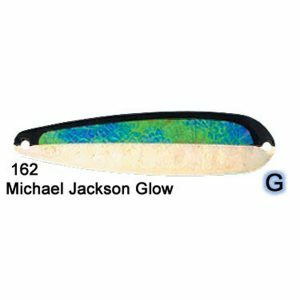 The A-TOM-MIK Meat Rig is tied with 40-pound Gamma fluorocarbon line, 80-pound stainless steel bead chain, and a treble hook. 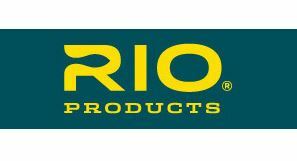 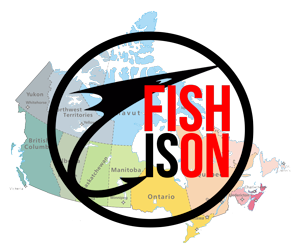 All of our complete rigs are 2-teaser setups tied with 40# fluorocarbon. 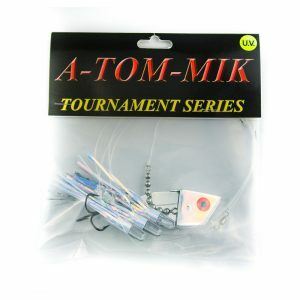 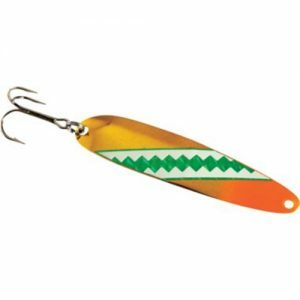 Hook setup is a tourney tie (single and treble) with barbed hooks. 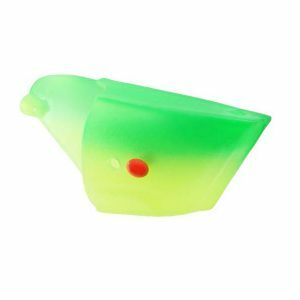 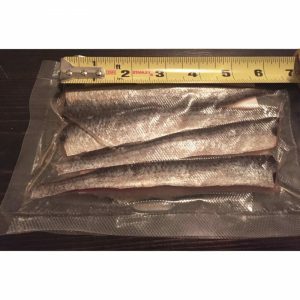 The Musselhead Pledge: Our patented bait head takes the guesswork and hassle out of running meat. 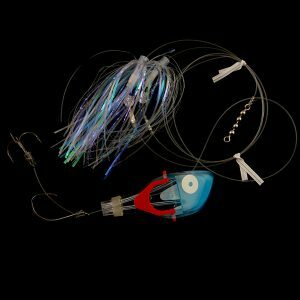 Tied with premium hooks on 100% fluorocarbon, every rig is handmade and tailored to fit many different bite scenarios. 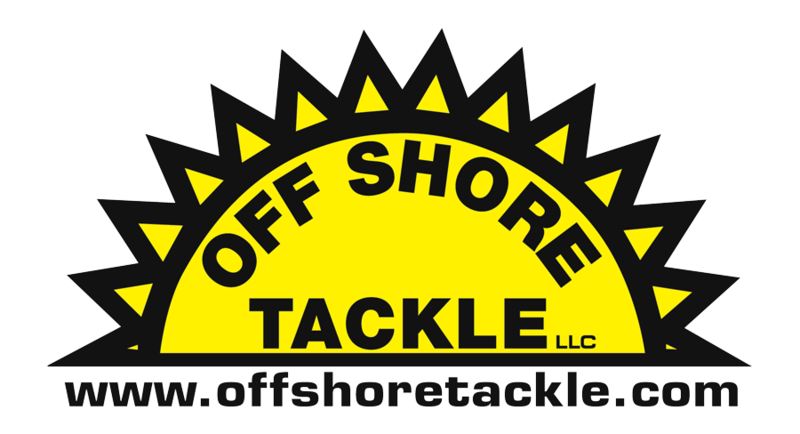 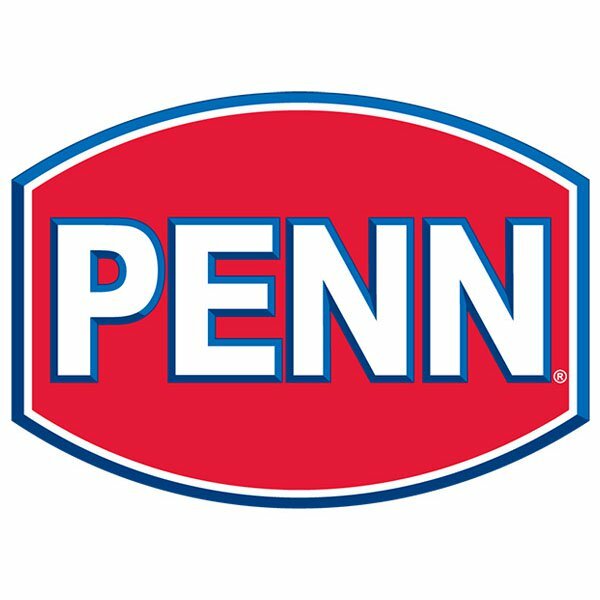 It is our goal to not only provide you with quality product, but with the knowledge to run them as effectively as possible. 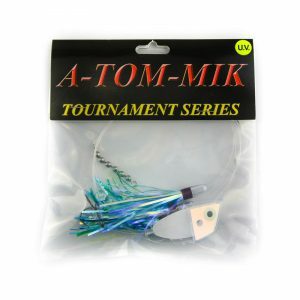 – NO TUNING REQUIRED!